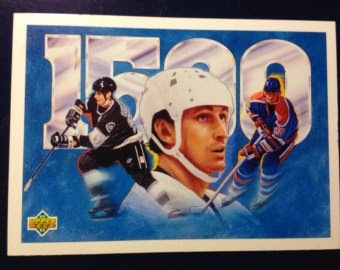 Upperdeck has had “Art Work” cards for years; even in the early 90’s they had these beautiful cards I have always been drawn to them. I already feel that the cards are pieces of art work with the photographs and the borders/logos/fonts/foil etc. but when it is an actual illustration there is even more to appreciate. I do have the early 90’s “art work” cards as they are part of the regular base set. funny how 1500pts seemed like a lot (it is but not for #99). at the printing of this card. 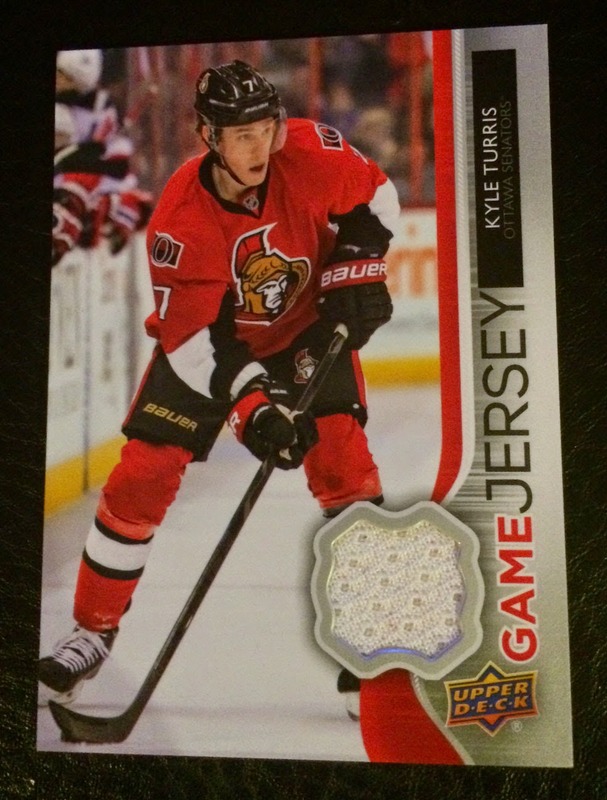 This “new” card means a little bit more to me; I have not pulled any art cards from Upperdeck series one or two in the past 4 years. I see them on EBay, I see them listed in Beckett magazine but I have never had my hands on one. I finally got one and it is a beauty. 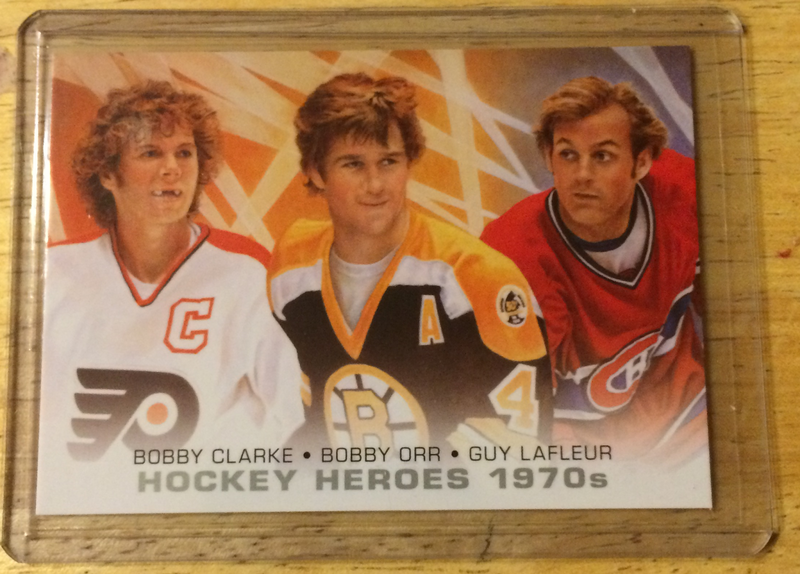 With Bobby Clarke, Bobby Orr and Guy Lafleur 3 great players in their time that still have a strong following in the hockey and collectible world today. So it may have taken a few years, but it was worth the wait. For me it has never been just the “value” of a card. There are a lot of factors involved when it comes to me keeping one for my PC (personal collection). First thing is the picture, is it a great action shot, is it outdoors with snow falling, is it something new, is it someone I really like? Of course the overall look of the card could be a factor and now we have autos/relics etc to add to the attractiveness of the card. Favourite team, rookies, misprints, specific action shots like goalies drinking from their water bottles, players with their skates off, perhaps the athlete playing another sport. Just a great looking card. Lindros was still a newcomer to the NHL and how badass is it that he is in a blue jays uniform taking batting practice. This is a great card with a great picture and will always be a part of my PC. Now why do I have this card in the screw down case? Especially considering the case is worth as much as the card??? Well it has been in that case for over 20 years and big E, you have earned it. by a baseball team. Big E was a great athlete. Well I admit I was nervous, I didn't know who the redemption was gonna be right away and I didnt know how long to wait. This was my first redemption and I had only heard about them before. I was able to find out who it was and I was happy that it was a goalie (RC) Marek Mazanec of the Predators. So I filled out the required work online at upperdeck.com and waited. It didnt take long. They already had the card in stock which I am sure really sped up the process. It came in a soft sleeve within a top loader with a little piece of tape to keep the card secure inside the top loader. 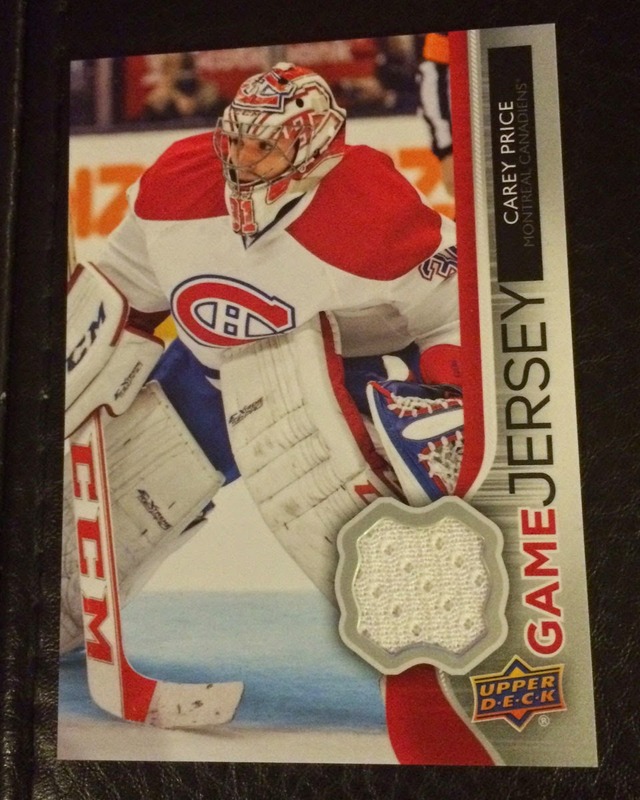 It was a little weird because there in no letter inside the bubble envelope and their address does not say upper deck. I actually had no idea what it was until I opened it. 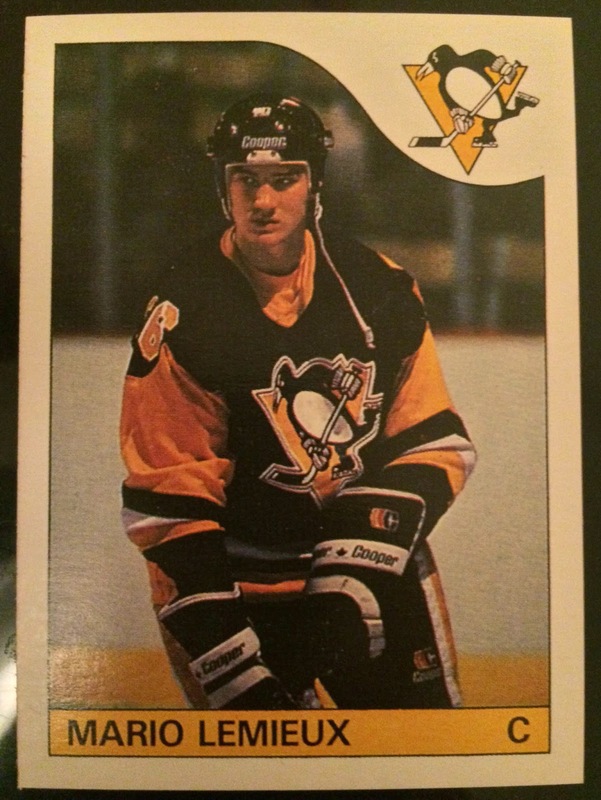 The card came in great condition and was the correct one. 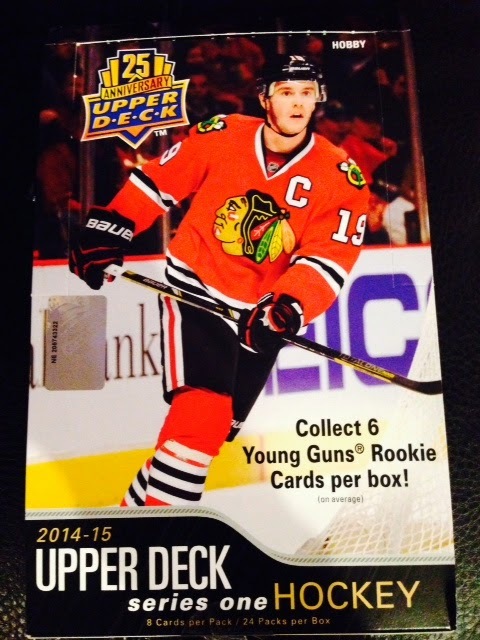 Thank you upper deck, I look forward to my next redemption find. A sweet numbered rookie redemption. A really nice looking card, I am pretty happy with it. I have heard about printing plates for a few years and even seen them on the internet and a couple at a hockey card shop but I had never touched one or owned one. I know have 3, these were my first two. The value of them is not amazing but it has the cool factor that these were used in the printing of the cards I am collecting. I hope to get a actual printed card that these plates produced at some point. Its an added bonus that both are autographed which is a cool touch. so far as of today. I like that both players were with Canadian teams at least at the time of printing the cards, Conacher now plays with the Islanders. Led his team to the first of 2 back to back championships. 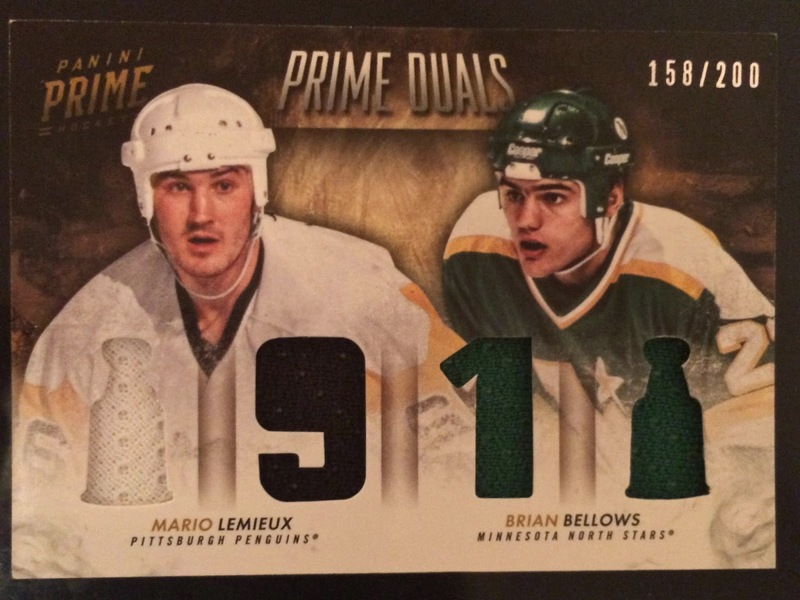 along with a double green from Brian Bellows. There were a few decent hits inside. 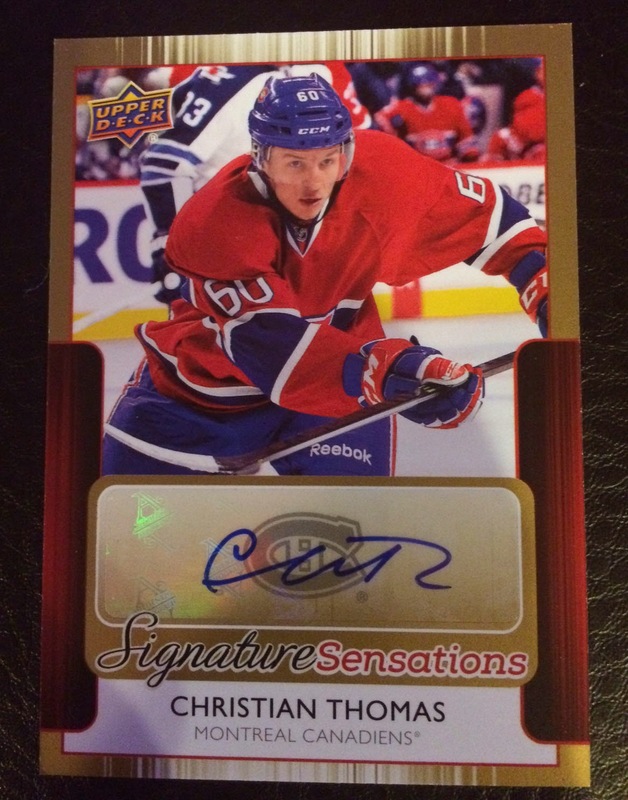 Nice to get an auto! Good goalie jersey - would have preferred two color! Would have been better red! It's nice getting three hits, all Canadian teams!